Are you sure in the competence of your crew? 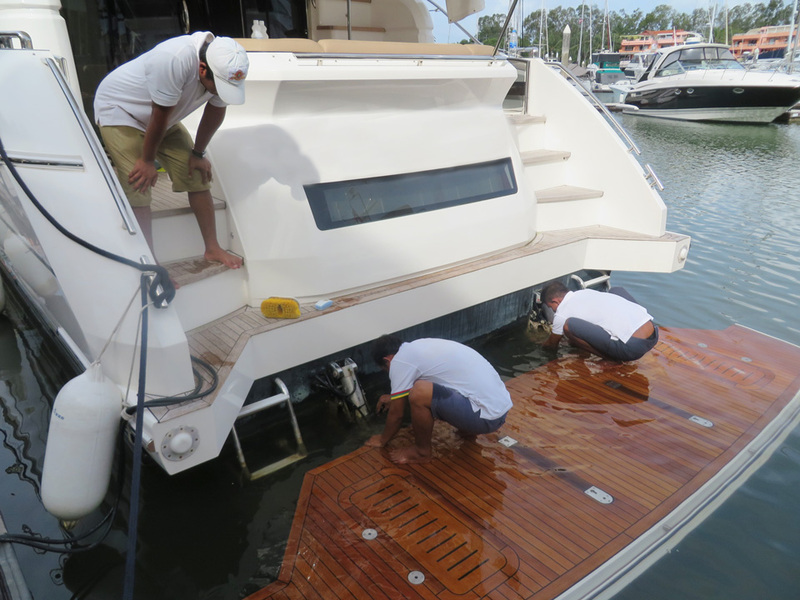 Here at PMYA Asia we can say with confidence that finding a fully trained crew for your yacht is not an easy task. It has been the same in many other parts of the world, and here in Asia is no different. 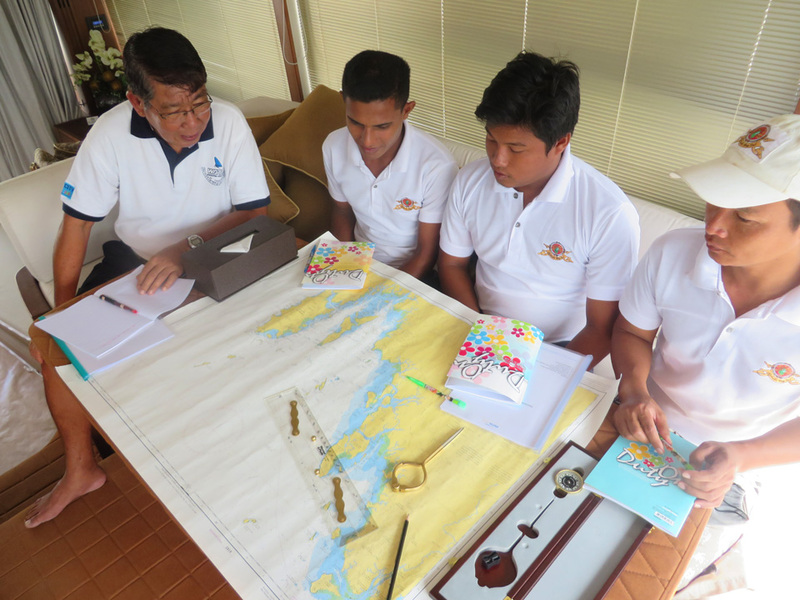 Every month PMYA Asia receives inquiries from yacht owners asking for help to find professional captains and crew. So let’s suppose that the long-awaited crew is finally found. You are happy enough with their general ability, communication skills, etc, but the question of their qualification would not hurt to tighten up on. PMYA Asia team is the one that can help you with this. Just recently PMYA Asia presented to the yacht dealers and yacht owners our new Training Program developed specially for Asia. The program is aimed at the long-term development of people working in the marine industry. At present in the Asian marine market, there is no structured training program for the majority of people looking for a career in yachting to follow. The training we have introduced covers all aspects of professional boating, but its first aim is to establish a basis for the people to work from. It is important that everyone has a foundation of knowledge from which one can develop quicker. From here we can guide people along their chosen career path. 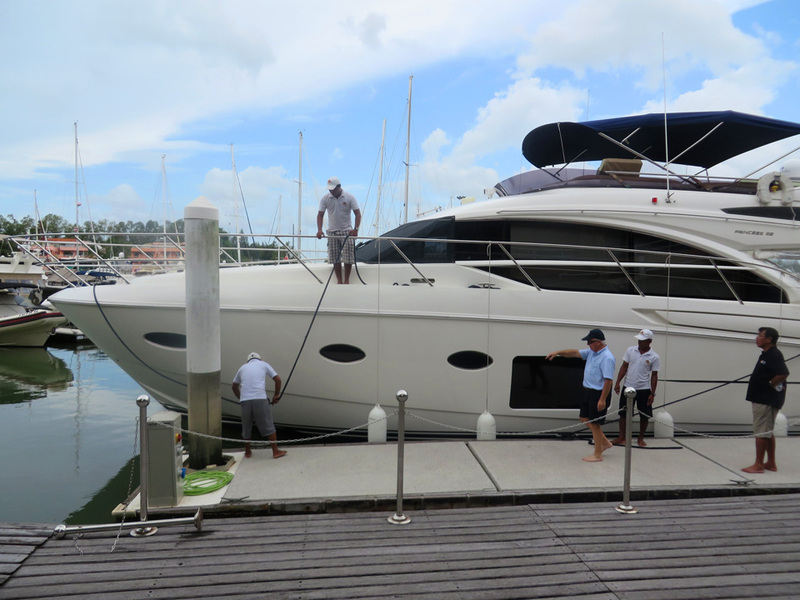 Last week PMYA Asia trained 4 crew of a luxury yacht Princess 52. 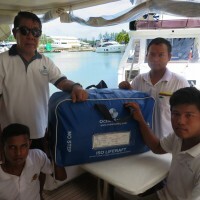 The yacht is registered in Myanmar, and with a Myanmar crew. Basing the boat here in Phuket during the low season is done for carrying out her annual maintenance. And this is also an ideal time for her crew to be trained and refreshed on the boat’s technical systems. The owner of the Princess 52 along with many other boat owners prefer to keep their boats in one of the marinas and boatyards around Phuket. Here they can take advantage of the sheltered waters between Phuket and Krabi, and have the modern boatyard facilities at hand. The course covered many aspects of operating a motor yacht, including navigation, weekly/monthly/annual system checks and maintenance programs. Safety was another essential part of the crew training. 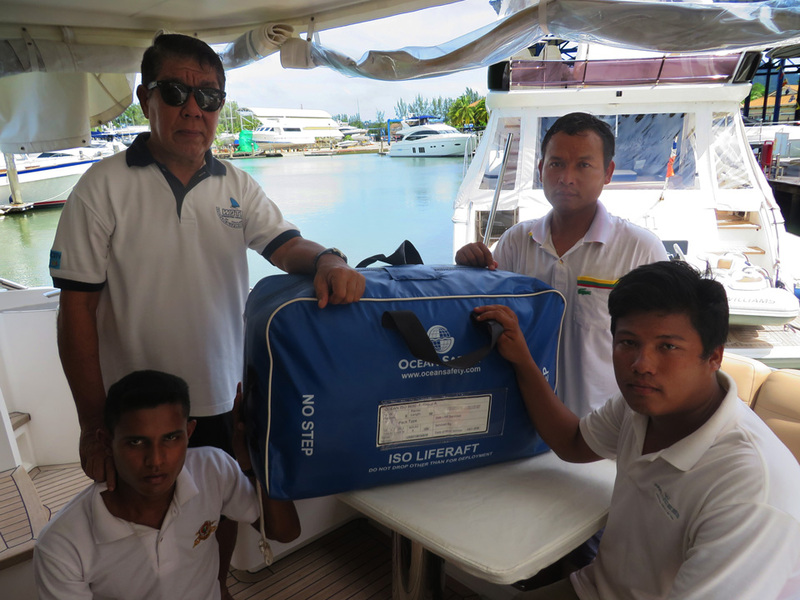 It is important to get the crew not only to understand emergency procedures but also to be able to pass on this information to the guests that come onboard. Correct product usage is also covered in the program. 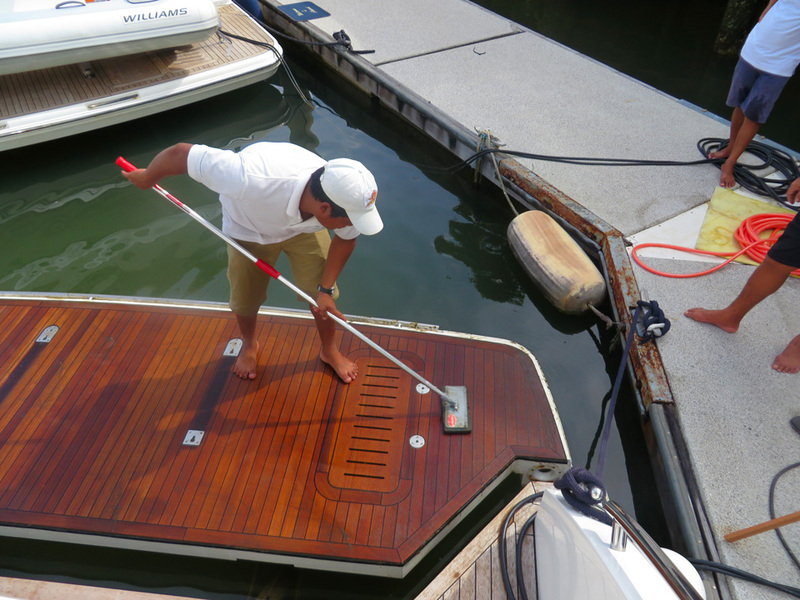 The crew should know which products can be used in the maintenance of boats. The explanation of these products and the way of using them correctly is all included in the crew training. Last week was all part of the longer term crew training program. 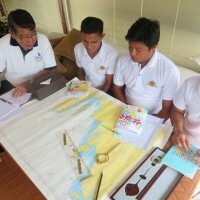 Over the coming months and longer PMYA Asia will review all students going over previous courses, as well as introducing new activities and increasing the students’ boating knowledge. The course went very well, with all participants gaining good knowledge, at the same time as having fun learning. There are of course many areas to cover, and this will be achieved in the future.